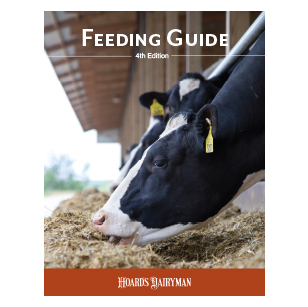 Get the scoop on Mike Hutjen’s updated Feeding Guide. Updates to the book’s practical guidelines are complimented by a brand new layout. And, for the first time, an electronic ebook version is available on the iBooks Store with five bonus videos not found in the hard copy version. Visit on.hoards.com/feed-18 to learn more, or press play below to hear the full rundown from the author himself. The book is available through the Hoard’s Dairyman Bookstore, which can be found at hoards.com/bookstore.